Unique formula that combines an extraordinary power of six flowery oils for the real make-over of damaged hair. It contains one oil and five flowery extracts as well as preservatives, silicones and alcohols. Elvive Extraordinary Oil is a different version of other Elvive oils. This time the oil fights with split ends. It is supposed to nourish, rebuild and add shine. However, this light oil of strong fragrance may weigh the hair down. Hair which needs repair may be troublesome if we are not sure what can help. We don’t need to know it as it is the task of cosmetic companies to create products which will solve the problem. Elvive Extraordinary Oil is called a magical hair oil. Many women let the oil take care of their hair. Elvive Extraordinary Oil is a unique mixture of six flowery oils – this is what the label says. In reality, the product contains flowery extracts and only a few oils but a large amount of silicones and alcohols which have rather harmful influence on hair. What are the substances included in Elvive Extraordinary Oil? Elvive Extraordinary Oil provides complex action. Its task is to rebuild the fibres from the roots to the ends, therefore it is designed for damaged, dry and brittle hair. Extraordinary Oil prevents split ends, rebuilds, brings shine and unusual nourishment for damaged hair. Flaxseed extract offers nourishment and rejuvenation. Camomile extract adds shine and makes the strands look better. Lotus flower extract perfectly penetrates into hair fibres, nourishes and regenerates. Tiare has purifying properties whereas rose gives hair resilience and strengthens from the inside. Sunflower oil excellently moisturises and delivers velvety softness. 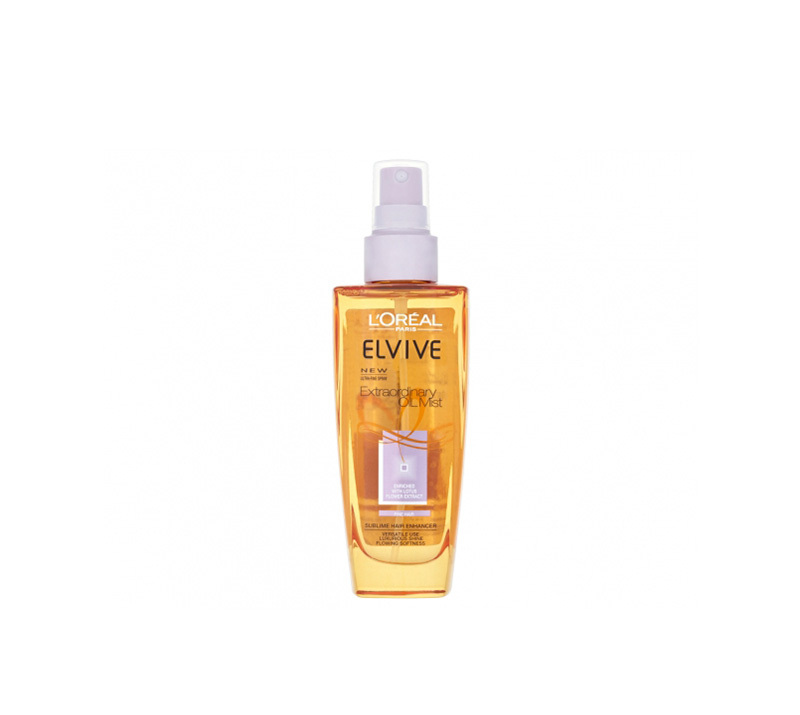 Elvive Extraordinary Oil takes care of the health and beauty of the hair. Extraordinary Oil is a lightweight hair oil. Its fragrance is worth mentioning – a bit sweet, resembles professional hair salon cosmetics. In spite of all the advantages, Extraordinary Oil may weigh the hair down due to damaging and clogging substances among the ingredients. Undoubtedly, a very handy bottle is a plus. It is plastic thus more durable than glass bottles. Thanks to a very comfortable pump, the application is easier whereas the product – more efficient. Elvive Extraordinary Oil can be applied in three ways: to damp or dry hair or as a finish touch.